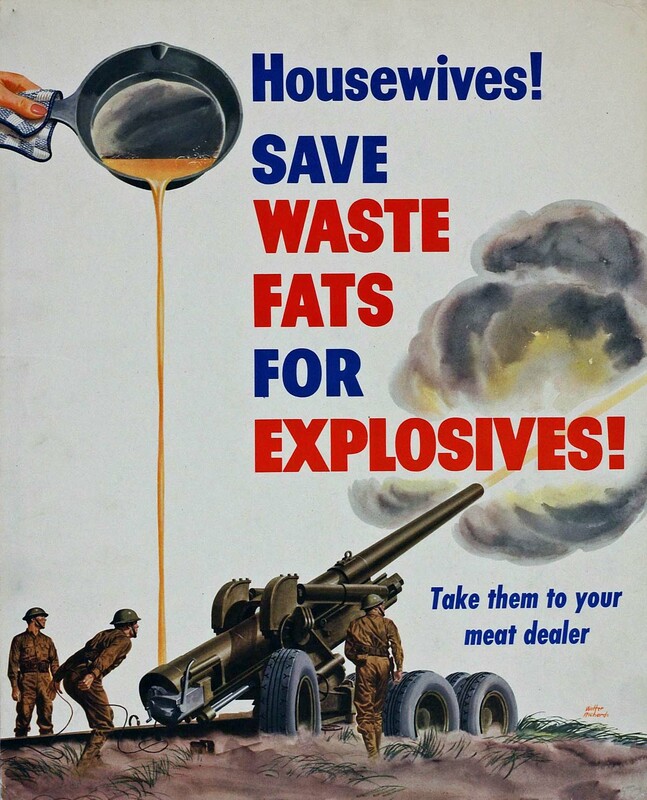 SAVE every speck of your waste cooking fat. STRAIN it into a clean, wide mouth tin container. STORE in the refrigerator until at least one pound is collected. TAKE to a meat dealer who will pay four cents a pound for it. Do Not take the fat tp dealer in glass or paper containers. DO NOT allow the fat to stand until rancid-the glycerine content is reduced.